NOTE: Bold words in BROWN are links. Good friends Steven and Diane Brabant came over the other day for some New Years’ libation. And they brought everything with them! Fine wines, Prosciutto, melon and olives. We added some goat cheese and crackers to the mix. 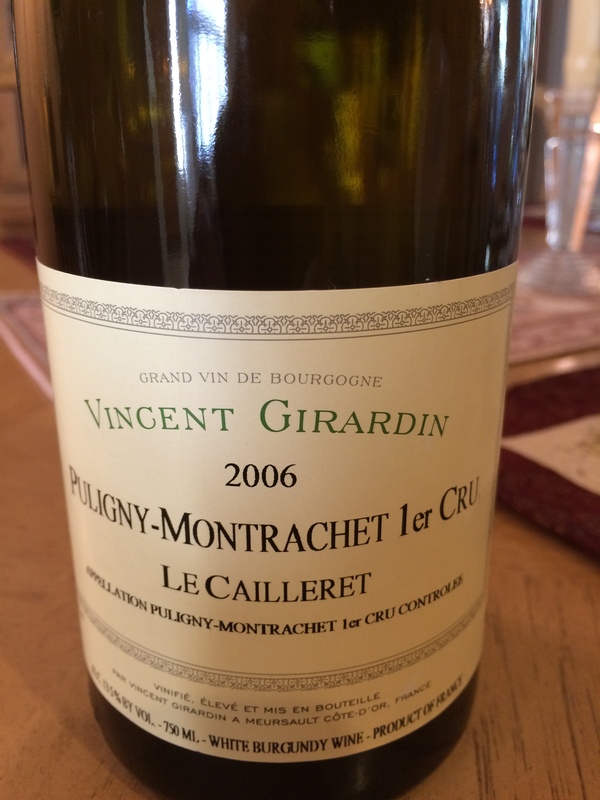 The first wine, a 2006 Domaine/Maison Vincent Girardin Puligny-Montrachet 1er Cru, Le Cailleret, bright golden. a touch of smoky oak, grapefruit, nut oil, chalk dust on the nose; medium plus body is rich, supple, densely fruit laden of buttery pears, with concentrated lemon mineral substrate. Traces of minerality. Very nice! 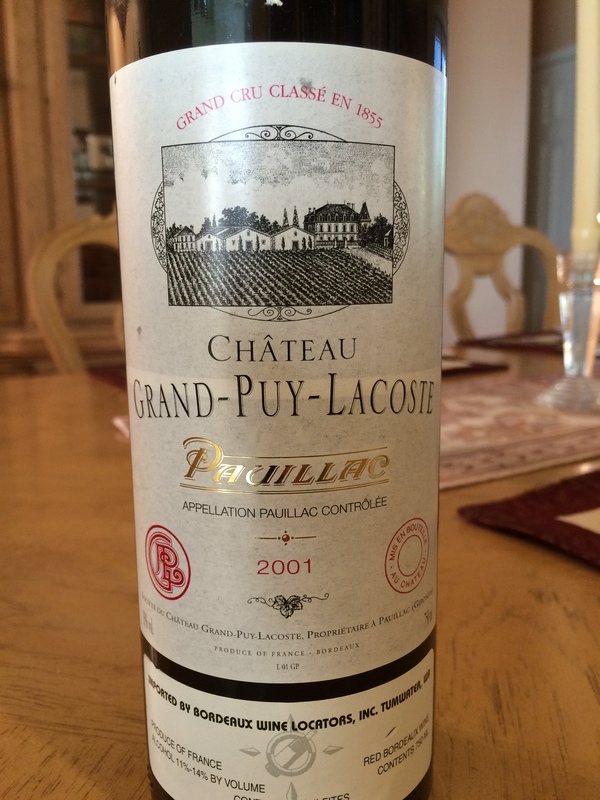 Next, came a 2001 Château Grand-Puy-Lacoste Paulliac Red Bordeaux Blend, dried fruit and minerals on the nose, the wine was a bit flat but not unpleasant. Possibly needs more time in the bottle? Not the best, but not really disappointing. 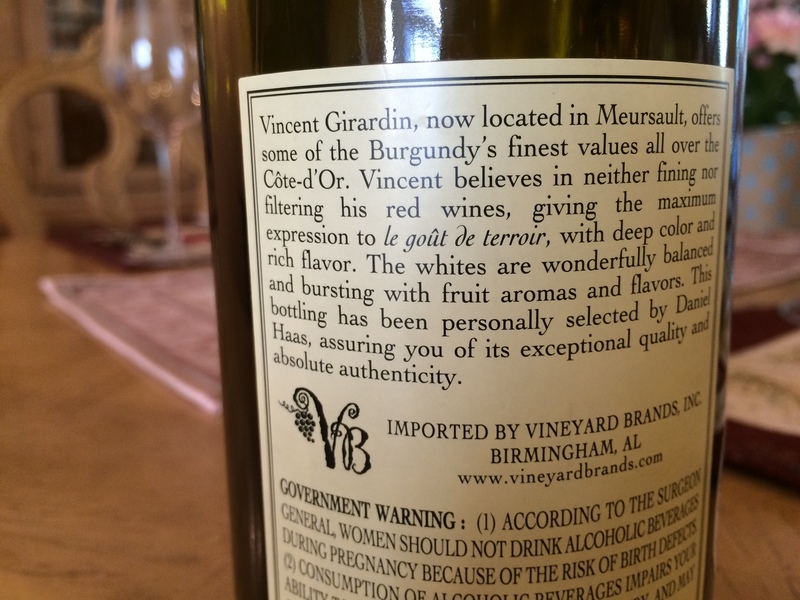 Mixing a White Burgundy and a Red Bordeaux may seem a bit strange, but both wines went well with the afternoon snacks that we shared. It is always nice when people stop by with wine and food, especially of this caliber! Thanks, Steven and Diane! NOTE: I will be joining them and about 50 others on the Annual Center for Spiritual Living Westlake Village Wine Tour on Feb. 7th – we will visit several Santa Barbara County wineries. Look for a blog post about our adventures!